Hi and welcome to the Readersâ€™ CafÃ© â€“ a place to gather and to share. 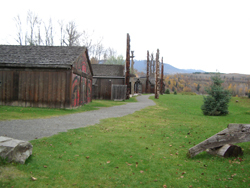 Today we are visiting ‘Ksan Historic Village near Hazelton, in northwest British Columbia. Please help yourself to a warm beverage of your choice and join us around the fire. Then sit back and join in the conversation by posting comments below. Don’t be shy. Sitting in this home of yesteryear, experiencing another culture, another way of life of long ago and not so long ago, one begins pondering one’s own history and culture. Where do you come from? Do you have a story from your personal history or culture that you would like share? 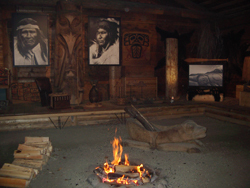 Or, another experience you would like to share or another question you would like to ponder around the crackling fire? Party Comments 211-440: 54 Links from Successful and Outstanding Bloggers - Liz Strauss at Successful Blog - Thinking, writing, business ideas . . . You’re only a stranger once. Hope it was good, Lori-ann. Howdy, all! I’m just dropping in for a quick hello in between work and work. Luckily, the work I’m doing today feels like play, so I don’t mind! Roots, eh? Well, I only know as far back as my grandparents. Russian Jewish on my father’s side and Latvian Jewish on my mother’s side. My father’s parents emigrated to Canada in the early 1900s, and my mother’s family emigrated to South Africa around the same time. No doubt due to religious persecution. I’m back… I was just calendaring my travel for a month (Feb 08) – I have a West Coast leg that includes Seattle, Anchorage, and LA – all in 5 days! Welcome Avril, great to see you here. Hmm, Mary, Vancouver is only a few hours from Seattle, on your way to Anchorage. Maybe we could arrange something. 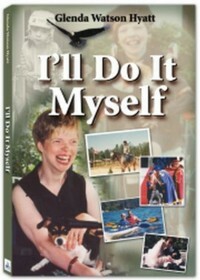 Mike, Mom says her Grandpa did speedwalking in sand to strengthen his muscles, and he won a medal. Glenda, sounds like your trip to Smithers & surroundings was fantastic. I love the photo of you with the beautiful talking stick on your blog. You look so demure in the photo, though – and I know now that you’re anything but demure! heh, heh, heh. Hey G&D, how close are you to Seattle? 😉 You know me too well, Avril! Sorry, didn’t see your comment before I sent the note (obviously) – yes, let’s see if we can figure a time/place to meet! Mary, about 3-4 hrs. I’m sure we could arrange something. Awesome Mary, that would be great. Enjoy the rest of the cafe, and I’ll ‘see’ you all next time! Have a good evening, Avril. Take it one task at a time, and keep in mind that the world will continue revolving if you don’t finish everything tonight! This has definitely been an interesting conversation, using modern technology to talk about our history. Thank you, everyone! The best time to plant a tree — 30 years ago. The second-best time — now. Just keep plugging away and you’ll make slow and steady progress! Hugs to you! Sorry I got caught up with other projects and didn’t check my messages until now, so I missed this opportunity. Are you over on the MomGadget forum? This is Angela.. can you let me know what your alias is over there? As a Gack Ink member I need to do something for you. My screen name is “angela” over there. Shoot me a PM, will ya? Hi Glenda, can’t wait to clear some feature interview time to promote you on our blog…nice post/photos here, very visual medium. Reminds me of my daughter’s study of long houses and totem tribal traditions a few years back. As happenstance would have it, I ended up taking her to Stanley Park in Vancouver for a 3 day jaunt and she learned more there experientially than she did in 8 weeks of coverage on the ‘curriculum unit’ in school…sigh. We even got to meet a wood carver and such. 3 days vs. 8 weeks…hmn. Diff. learning styles for sure. Amazing to see how fast kids can engage given the right tools and/or energy level. As for ‘where I’m from’ fascinating question…I call myself a ‘global citizen’ as I’ve pinged around hither & yon my whole life, but call Hawaii home in spirit.